Over the past year and a half when people would ask what diet I was following I would tell them that I do "the exercise diet." I have to say that 9.9 out of 10 times I would get strange looks and some rather weird comments back because no one really exercises to lose weight, right? I have no secret formula for instant weight loss. I have had to learn to love to move my body and test my strength mentally and physically daily to have inches and pounds slowly melt off. That is the exercise diet part of my healthier lifestyle journey. The exercise diet means that I have decided on my own to get up and move. When I first started that meant walk, walk, walk. I learned to walk further every day by a lap or by 5 minutes. It didn't matter I just needed to keep moving forward. I never realized at the beginning that I was actually going to keep up with it but I did and still am. So many have said that they hate exercise. Well I hate being uncomfortable when I walk and struggle to breath more. 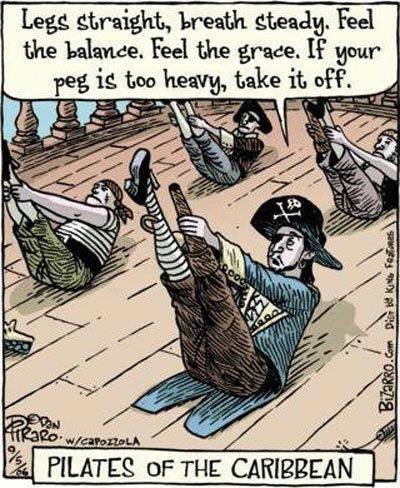 I personally have found that exercise is so many things. It is walking, running, stretching, dancing, lifting weights, flipping tires, doing and moving with a purpose each day. Sign up for a class to challenge yourself such as yoga, Pilates, Zumba or Jazzercise! So if you are someone who hates exercise then maybe you haven't found the right exercise to love. SO that is my Day 7 September Challenge to you...get trying different things to move your body daily until you find something you enjoy more than being in pain, being uncomfortable and feeling over whelmed with life. 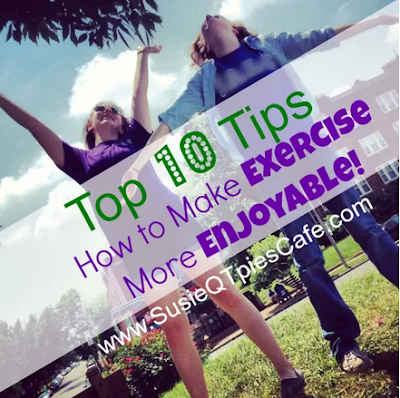 Below are 10 ways to make exercise more enjoyable with some inspiration from Southern Girl Ramblings. 1-Find one thing and just start doing it. Give yourself permission to try everything possible in your community. Start walking then check out your local gym and take a class. Keep changing up your exercises so you don't get bored. 2-Use your exercise time to listen to your music, audio books or podcast. Check out those music apps from a few days ago to find some new music. 3-Kecia suggest getting a workout partner. So far this hasn't worked for me as I have had several but found that we are all on our own journey. I do suggest that you make friends with others who are exercising around you. This way you can give and get support. If you are lucky enough to find the same committed workout partner then go for it! 4-Once you get moving, get some shoes! Go to a sports store and try on every pair until you find some that you love. You'll want to put them on daily! 5-Get a few workout outfits that fit you snug. These will hold you together and you move! 6-If you are short on time just plan to move it for 20 minutes. Get it out of your mind that exercise has to take hours each day. Start small and move up and increase time spent as you start feeling better. 7-Do you have a favorite TV show? Get on a treadmill at that time and watch the show while you walk. 8-Is there something you've always wanted to do but time hasn't allowed you to do it? Make time and start doing it. Sign up for swimming or tennis lessons, or make martial arts. Challenge yourself today. 9-Do you have kids? Get walking or ridding bikes with them. Do they like the Wii? Get Wii Fit and workout together. Go hiking, play catch, play tag or whatever they like to do. 10- This should be #1- to make exercise more enjoyable is a matter of mind of matter. Focus on how well you feel after you exercise and know that whatever workout you are trying to get through you will feel even better after it is finished. Great tips today! The most important thing is to JUST DO IT! 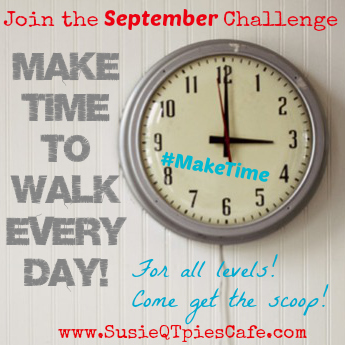 Just do some kind of moving every day - and as you encourage us...do a little more every day! Thanks!